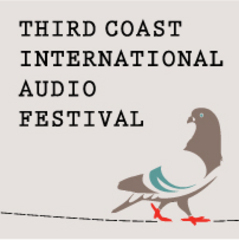 The Third Coast International Audio Festival brings the best new documentaries produced worldwide to the national airwaves in a special two-hour program, Best of the Best: The 2010 Third Coast Festival Broadcast. Plus a generic promo for stations to use in promoting the special. The Third Coast International Audio Festival brings the best new documentaries produced worldwide to the national airwaves in a special two-hour program, Best of the Best: The 2010 Third Coast Festival Broadcast. Plus a generic promo for stations to use in promoting the special. Note! Stations without paid PRX memberships may air this program free of charge. Contact prxhelp@prx.org. The featured documentaries, all winners of the 10th annual TC / Richard H. Driehaus Foundation Competition, demonstrate just how powerful radio can be. Innovative and insightful, the stories will engage, provoke, entertain, and transport listeners, proving that all you need to discover new worlds is...a little box and an antenna. In addition to these memorable stories, Best of the Best includes interviews with the winning producers who give us a glimpse into the art of audio storytelling, and highlights from the 2010 Third Coast Awards Ceremony hosted by Jad Abumrad and Robert Krulwich of Radiolab. Best of the Best may be presented in a number of ways, as a two hour program, or as two one-hour programs. Stations may also air just one hour and in that case we recommend hour two, featuring the silver and gold award winners.